Our product range includes a wide range of liquid paraffin and heavy liquid paraffin. Savonol grades comply with the requirements as stipulated under NF/USP, British Pharmacopoeia, European Pharmacopoeia and Indian Pharmacopoeia standards. Savonol grades can be used for direct food contact applications such as dough divider, release agents, protective coatings & dust suppression in grain silos. These Oils can also be used for lubricating food handling equipments and impregnating food packaging & wrapping papers. These grades find extensive application in manufacture of cosmetic products such as creams and lotions etc. Brand SAVITA OIL TECHNOLOGIES LTD.
With rich industry experience in this field, we are providing an optimal quality Liquid Paraffin. 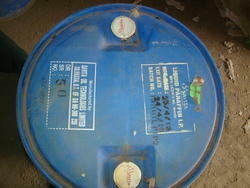 Our liquid paraffin is checked in terms of quality so as to supply a perfect range. This liquid paraffin is processed by vendor’s experts using the utmost quality ingredients and modern procedures at par with the set norms. The provided liquid paraffin is well known by our renowned customers due to its effectiveness & best quality.